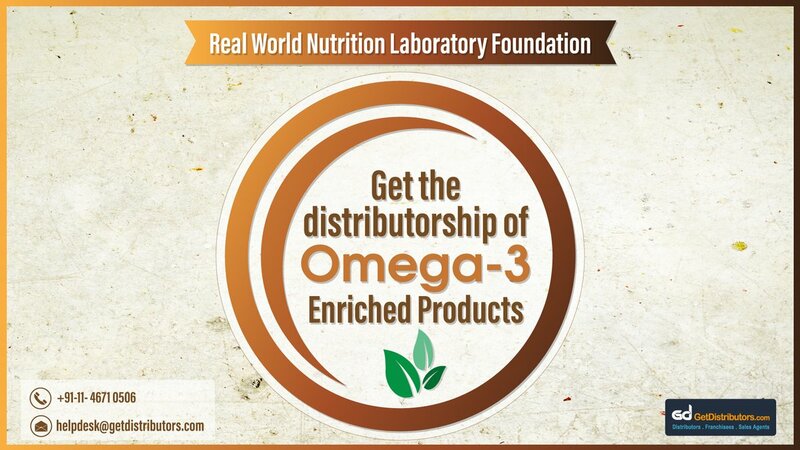 Established in the year 2014, we, Real World Nutrition Laboratory Foundation, are engaged in manufacturing and supplying of omega 3 fatty acids enriched products like Omega 3 enriched layer feed, Omega3 cookies, Flax seed powder, Omega3 Soft gel bottle, and Dietary Supplements. These products are in huge demand due to their health benefits like improving heart health, eye health and curing mental disorders. The products sold under the brand name ALVEL, are prepared using pure components and are highly effective. Our professionals are highly knowledgeable and are committed to provide best products. Our aim is to cure health related problems to provide longer life to mankind life with a healthy body and a healthy mind. In such short span of time we have become one of the prominent companies in our sector and it is evident from the annual sale of Rs. 50.00 Lac – Rs. 100.00 Lac. We are looking for reliable city level healthy food distributors for our company expansion.